Indie Retro News: Simon the Sorcerer 25th Anniversary Edition - Double compilation of classic Adventuring coming 3rd April! Simon the Sorcerer 25th Anniversary Edition - Double compilation of classic Adventuring coming 3rd April! 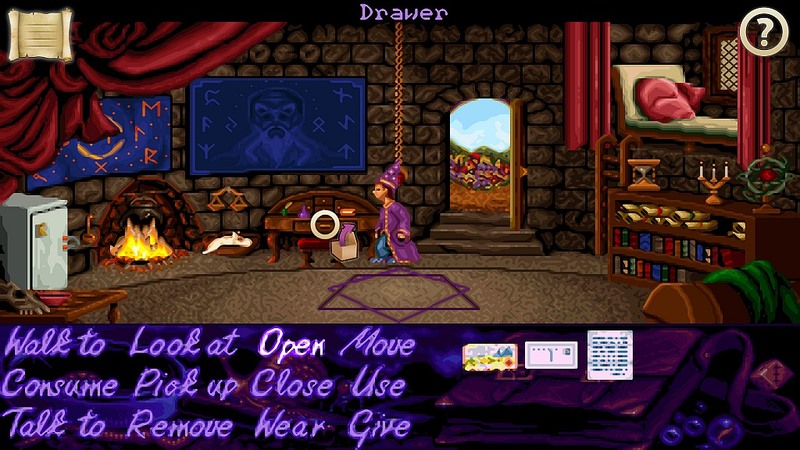 Don't get me wrong I'm a huge fan of Adventure games such as Broken Sword, The Secret of Monkey Island, Kyrandia and even the Discworld series, but there's two games that really top the list for me and that's Simon the Sorcerer 1 and 2. Two brilliant adventure games released in the 90's by Adventure Soft, that follow a story about a boy called Simon. The game was full of charm, great characters, fabulous retro detail, lovely music and voiceovers by Chris Barrie. If you remember these glorious Adventure games you'll be pleased to know Simon the Sorcerer: 25th Anniversary Edition is coming to PC 3rd April! Yes indeed both games will be released as a Simon the Sorcerer: 25th Anniversary Edition double bill, featuring new gameplay controls built from the ground up, hotspot based gameplay with no more pixel hunting, new slick icons and animations, quick right click actions, a new game menu and save load, and a new HD graphics mode that upscales the game to high-resolutions! But if you're not keen on these *filters* you'll be pleased to know included are optional retro settings: play with original graphics, original music and even the original controls!